There are many welding processes and many tubing configurations and sizes. 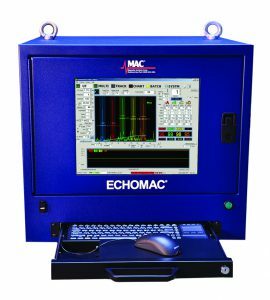 MAC has extensive experience testing tubes and pipes and we have a large base of testing equipment lines being used to meet the many different ASTM, API, EN, ISO and other industry quality standards and or customer driven quality requirements. 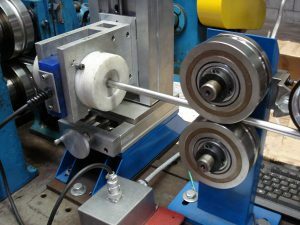 The Eddy Current method is the most versatile and cost effective method for testing metallic tubes. Eddy Current technology can be operated over the widest speed range and can in many applications be installed on the production line without any restriction from the production rate. This is the preferred method to detect small, short, incomplete welds, and some subsurface and Inside Diameter conditions in carbon steel or stainless or nonferrous tube. For some critical full body tests, including the detection of long, continuous defects such as incomplete seam welds in tube, and inclusions, voids or cavities, Ultrasonic test systems are recommended. Flux Leakage systems are also available to accurately detect longitudinal and transverse surface defects on the OD and ID of heavy-wall magnetic tubing. Since each testing technology has inherent capabilities and limitations, the optimum test solution for welded tube could be a combined system that utilizes both Eddy Current and Ultrasonic test instruments or other combinations to fit the needed task. 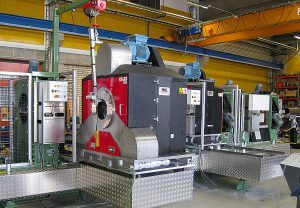 The point at which the test is applied in the manufacturing cycle also influences the choice of method and apparatus. 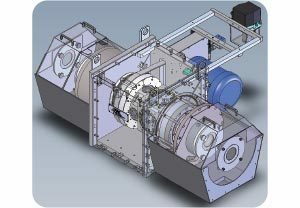 This might range from tests limited to the heat-affected zone on the weld mill, which could include an in-line anneal, to full body inspection of cut lengths after drawing and annealing or other heat treating. Each welding process has its own unique set of testing challenges. For example, incomplete ID weld defects are a common concern in TIG welding. Very short pinholes, and long continuous ID defects such as incomplete or mis-match welds, are typically associated with laser welding. Trained and experienced MAC people can help you to determine which test method should be used. Operate on or off line. Upgrade and/or replace older ultrasonic testers. 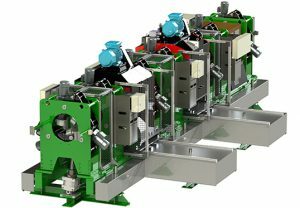 Transverse Rotoflux® Rotary, at left, and Longitudinal Rotoflux® at right testing OCTG pipe for transverse and longitudinal defects. Encircling and sector Eddy Current coil tests perform in this manner. For typical OCTG and other heavy wall tube tests, Flux Leakage technology detects longitudinal and transverse defects as small as 5% on OD and ID, as well as defects within the wall, depending upon material type and condition. 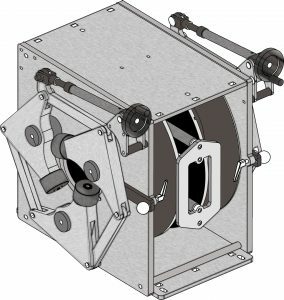 This leakage flux is detected by flux sensor probes with MAC configured rotary inspection devices which can wirelessly transmit this data to the instrumentation for processing and analysis.